EghtesadOnline: Iran’s auto parts industry is on the fast track to expand its collaborations with academia to keep its head above water as looming US sanctions coupled with the government’s monetary policies have driven the business to near bankruptcy. A conglomerate of Iranian parts makers has forged an agreement with Iran University of Science and Technology, under which the academia is poised to boost the industrial capacity of the sector and provide businesses with engineering services. 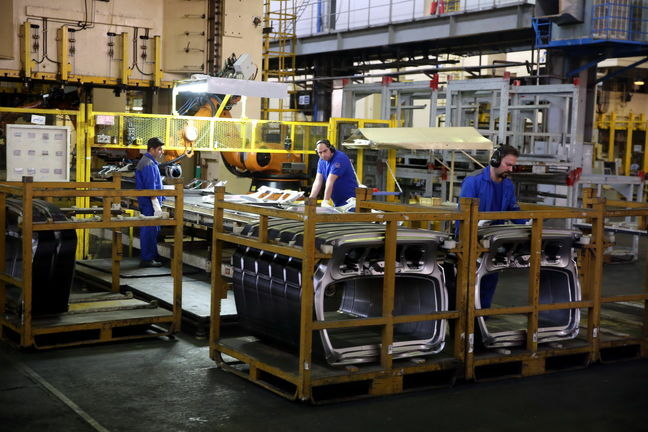 Abolfazl Khalkhali, a professor with the IUST, told local automotive website Asre Khodro that other countries involved in auto parts production allocate 30% of revenues to research and development, a practice uncommon in Iran. According to the professor, through the agreement the academia hopes to claim a share of the automotive sector’s circulating capital, earning some 10 billion rials ($227,272) by the end of the first year of the collaborations, Financial Tribune reported. The MoU with four major auto parts makers can serve as an opening for universities to tap into the working capital of the industry. The firms’ names have not been disclosed yet. The past two years have seen auto parts makers grapple with the rising price of raw materials as the government has contained car prices in a vacuum, creating crippling debts for the auto parts industry which has led to the widespread closure of factories, and according to Sharq newspaper, the unemployment of 70,000 workers. Khalkhali hopes auto parts producers will see the expenditure as an investment which can create a win-win situation for both parties, observers, however, believe the industry is already in a state of utter chaos and exploiting the potential of academia is a case of too little, too late. Following US President Donald Trump’s opt-out from the historic 2015 Iran nuclear deal, the rial has been steadily losing its value against the USD in recent months, prompting the government of President Hassan Rouhani to clamp down on imports and assign subsidized currency only to “essential” goods to put a stop to the excessive outflow of foreign currencies in a push aimed at preserving national reserves. The carmakers’ long-standing debt to auto parts manufacturers, strict rules governing imports, the high dollar exchange rate and the imposition of car price caps by the government are among the reasons the auto parts industry is currently in disarray. The secretary for Iranian Specialized Manufactures of Auto Parts Association Arash Mohebinejad says the problems afflicting the auto parts industry have finally dragged in car manufacturers. During the first three months of the current fiscal which started on March 20, 336,699 cars and commercial vehicles rolled out of Iranian carmakers’ production lines indicating a 9.4% year-on-year increase, yet in the final month of the quarter (May 22 – June 21), the country’s automotive output declined by 19.6% compared to the same period of last year. The secretary for Iran’s Vehicle Manufacturers Association Ahmad Nematbakhsh confirmed Mobebinejad’s statement about half-completed vehicles. He told ILNA that with a huge share of vehicles only partly produced, no one can any longer accuse car manufacturers of profiteering. Under such circumstances, the IUST’s deal might be a belated partnership. Despite the stagnant auto market, closed auto parts factories and rumors of carmakers’ bankruptcy in the near future, IUST’s professor Khalkhali speaks of suppliers’ need for investment in R&D to design parts, 3-D print them and finally test the final product. One of the aspects that universities can be of great help to the auto industry is computer simulation services. Whether the suppliers rush to forge ties with the academia to mitigate losses and keep the auto industries’ wheels turning, is yet to be put to the test. However, in view of the stark prospects the sector is facing, universities may offer the firms a ray of hope.